Local authorities in England and Wales are spending recording levels of cash to deal with abandoned cars, new research has claimed. Data obtained by Confused.com through Freedom of Information (FOI) requests suggest a 228 per cent increase in the number of vehicles being abandoned, with councils in England and Wales spending £527,380 in 2017/18 to deal with the problem. The comparison website received data from 275 local authorities and found that the number of dumped vehicles being recovered has increased from 3033 in 2013/14 to 9937 in 2017/18. The majority of abandoned vehicles are thought to be scrapped at a financial loss to each council, once recovery charges have been deducted. It is illegal to abandon a vehicle under the Refuse (Disposal) Amenity Act 1978, and drivers risk a maximum punishment of £2500 or three months in prison if successfully prosecuted. 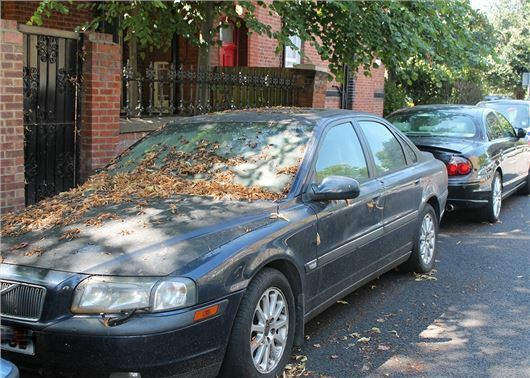 Under the Clean Neighbourhoods and Environment Act 2005, councils are able to give fixed penalty notices of £200 to the last registered keeper of a vehicle they consider abandoned. If this fee is not paid, the council then has the power to prosecute the last registered keeper. The FOI data suggests that few councils bother to pursue the owners of dumped cars, however, with just £55,071 being recouped in fines during the past financial year. The south east of England received the highest number of reports and removed the most stranded vehicles throughout 2017/18. Local authorities in the region removed a total of 3055 vehicles from 35,298 reports, costing £102,827 in total. Confused.com also surveyed 2000 drivers as part of its investigation. A quarter of those who admitted to dumping their car at the roadside did so because they could not afford to get it towed or repaired, while one in five were worried about being fined for it not being taxed. Almost one in six admitted they could no longer afford to run their car and left it for the council to deal with.